What a wonderful community of learners we have in our classroom this year! I’m so excited to help our students learn and grow! I have registered our classroom on DonorsChoose.org, an amazing website where individuals can contribute to public schools. Throughout the year, I will post requests for resources that will help make your child’s time at school even more engaging, dynamic, and enriching. Please spread the word about our classroom page (and contribute if you can)! 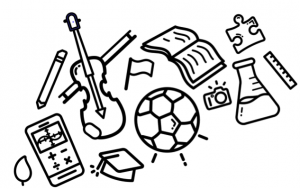 These items go directly to YOUR student in the classroom!